is an essential part of artistic practice. The workshop is 4-5hrs long and for up to 12 participants. 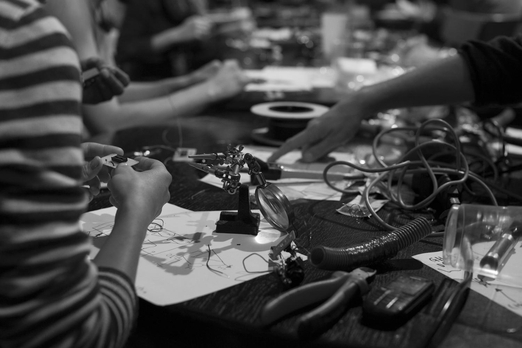 There would be no soldering involved, so a complete beginner can participate. to show they have experienced the joy of performing with others. Sync Pulse synths will be free for participants to take away with them. 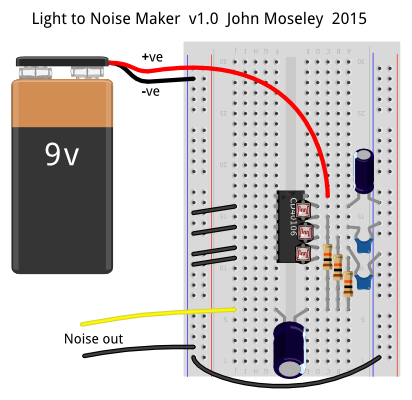 Below is a circuit diagram and a graphic of the finished synth. They are easy to build and if you'd like to make one yourself, please do! We wanted to design a workshop that was easily accessible for anyone, whether a participant had no experience of electronics or had quite a lot. The idea was for a collaboration at the end, so each person will have joined in both the building of an intrument and making the "orchestra" noise. Also the synth had to be inexpensive so anyone can build one whether they came on the workshop or not! The answer to our question about expense came in the form of the CMOS chip, and that is how the workshop evolved. 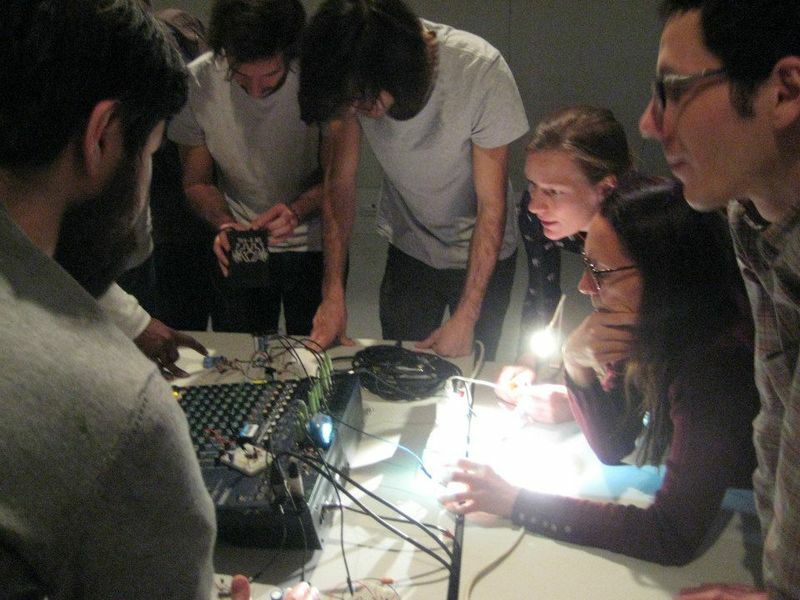 Protocol: We wanted to design a workshop that was easily accessible for anyone, whether a participant had no experience of electronics or had quite a lot. 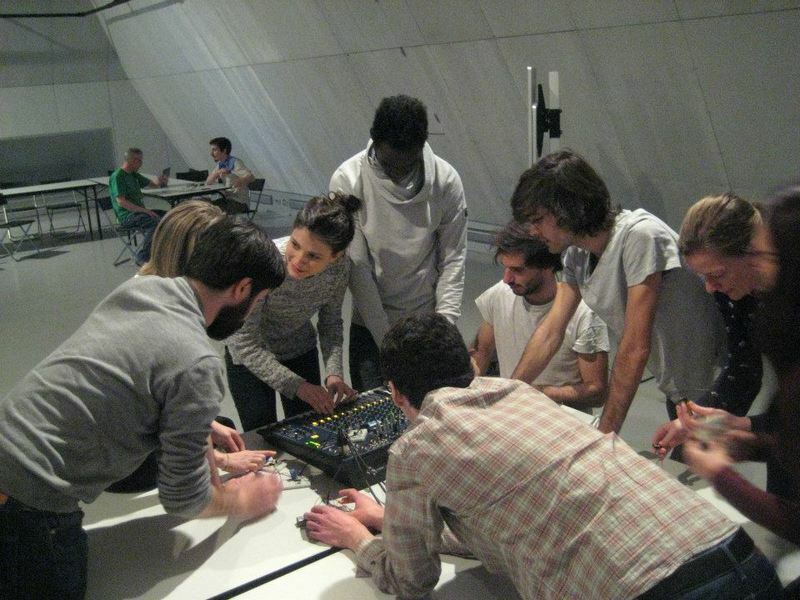 The idea was for a collaboration at the end, so each person will have joined in both the building of an instrument and making the "orchestra" noise. 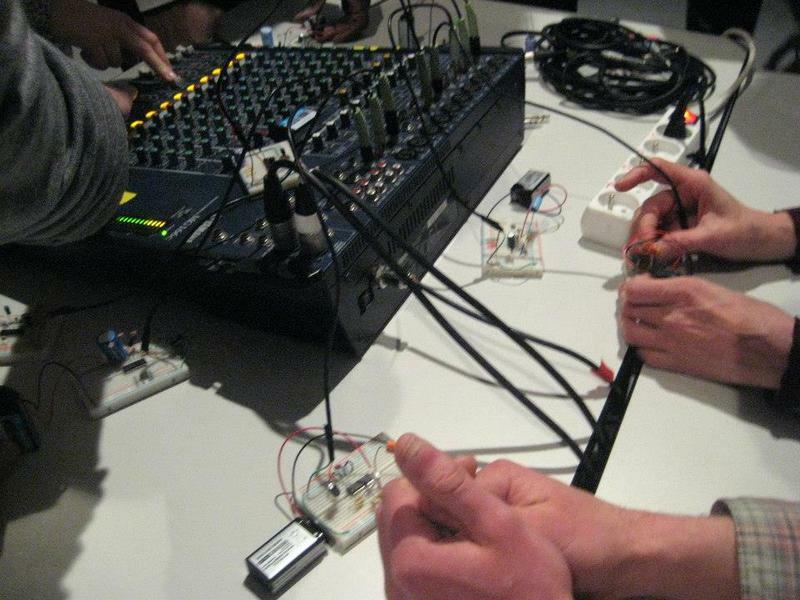 Also the synth had to be inexpensive so anyone can build one whether they came on the workshop or not! The answer to our question about expense came in the form of the CMOS chip, and that is how the workshop evolved. 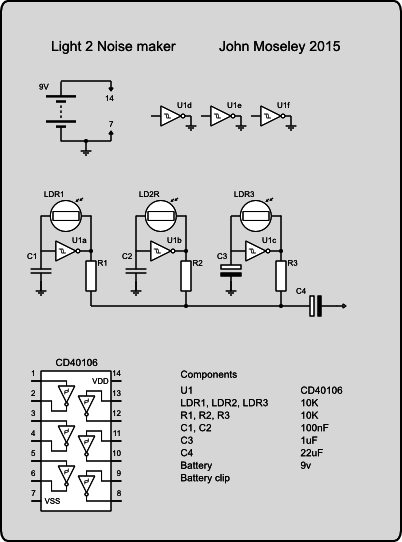 Resources needed: See the illustrations above for the resources needed for each synth. Soldering irons aren't needed as everything slots into a bread board. A set of tables some good lighting and a projector may also be handy! 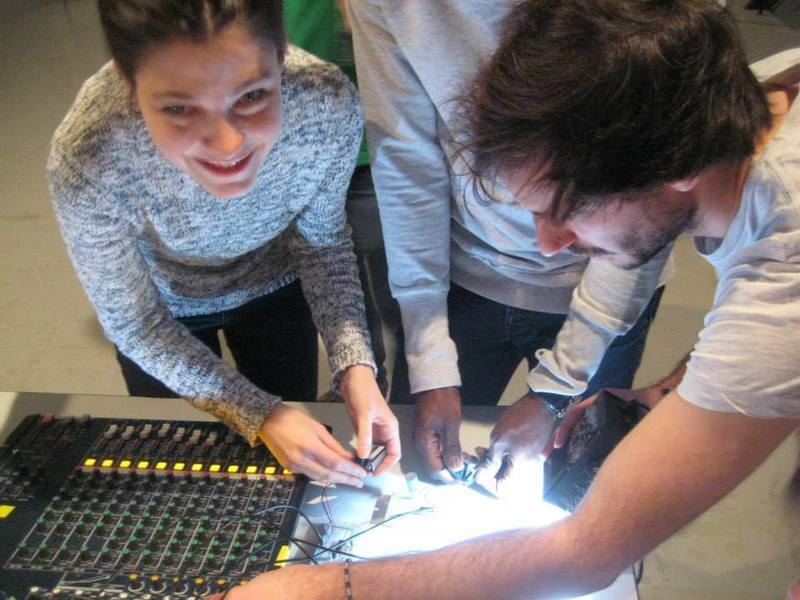 To play the "orchestra" with other participants you'll need a mixing desk and speakers.